Marisa Berlinger is a member of the firm's Litigation & Dispute Resolution Practice Group. She focuses her practice on general litigation matters, while helping her clients prepare for depositions and trial. Representation of a timeshare company in defending against allegations of violations of the Wisconsin Timeshare Act and Deceptive Trade Practices Act. Representation of insurance companies in bringing breach of contract claims against other HMOs, and defending against coverage disputes and claims by third party administrators. Representation of a startup company in defending against wrongful discharge and intentional misrepresentation claims. Representation of national agricultural cooperative in fast-track injunction and TRO hearing to recover assets. Representation of health care providers in responding to third-party subpoenas. Advice to health care providers on general grievance procedures. Marisa also has experience in fast-track injunction and TRO hearings. 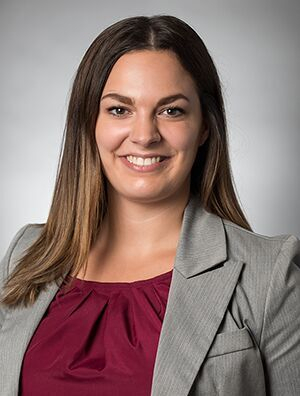 Prior to joining the firm, Marisa was a summer associate at Quarles & Brady, where she researched and wrote memoranda on various issues in Wisconsin litigation practice, including open records law, attorney-client privilege, and helped prepare exhibits for a major bankruptcy trial. Volunteered for the Child Development Foundation in Belize, including assistance with legal aid clinic to register undocumented immigrants for secondary school and facilitation of workshop to help raise public awareness of domestic abuse (2016). Co-wrote successful criminal appeal in the Sixth Circuit Court of Appeals and got client’s conviction overturned on ground that client’s Sixth Amendment right to choice of counsel was violated (University of Michigan Federal Appellate Litigation Clinic, 2016).